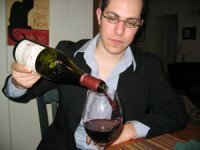 Don't know how to serve wine at your first wine tasting or wine theme dinner? Wine service has many time honored traditions and standard practices. Some of these help to enhance the service and the wine tasting experience, others are just for show and help build the romance and spectacle of the occasion. When first getting started learning about wine there are some basics that you should familiarize yourself with so that your wine service is optimal to appreciate each wine fully. We will cover several aspects to serving wine, from how to open a wine bottle to choosing wine glasses which will present your wine at its best. We will also give some tips on decanting wine, wine temperature and estimating how many pours you will get from each bottle of wine. When learning how to serve wine, the first step of course is to learn how to open the bottle! While some new wines are closed with screwcaps, most are still closed with a traditional cork closure. We will cover how to use each of the standard types of wine openers to get into your bottles easily, quickly and elegantly. 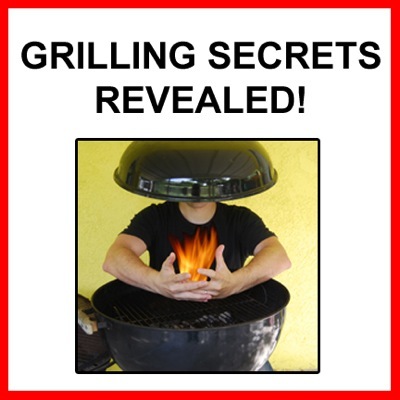 We even have instructional video of the process! No more broken corks! Champagne, and other sparkling wine, bottles generally have a unique cork closure which is not opened with a typical corkscrew like other wines. In fact, you don't need any special equipment to open Champagne elegantly, just a little know how and practice! We've even got video to help you learn how to serve wine with bubbles! There are some basic types of glasses which are optimal for serving wine and others that have many drawbacks. We will help you pick a good wine glass for serving at wine tastings. When you get more advanced you can find a whole host of different glasses designed specifically to highlight the unique characteristics of each style of wine. And they do make a difference to the appreciation of fine wine, believe us! A wine decanter is a glass vessel used to serve wine. Besides looking beautiful, it also serves a purpose and can enhance the enjoyment of some wines. Learn hear about wine decanters, their uses and how to use them. A wine served at the wrong temperature can ruin the presentation of your wine. The wrong temperature can bring out strange aromas and flavors which you don't want. The right temperature can help keep a wine in balance so that it is presented the way the winemaker intended you to taste it! This is an important aspect to learning how to serve wine. Each type of wine is different, so read on! How Many Glasses Do You Get Per Bottle of Wine? When learning how to serve wine and host your first wine tasting, it can be helpful to know how many pours and what size pours you can get out of each bottle. With a small tasting of a few people this may not be important, but if you host a larger wine tasting or dinner party then here are some tips on planning to have enough wine to go around. You might be surprised how frustrating removing those fancy wax capsules on some bottle can be if you don't do it right. Here are easy step-by-step instructions on how to do it! Corks in old bottles of wine, particularly old Port, can be tricky to remove without the cork breaking or crumbling into the wine. The traditional way to avoid this is to use Port tongs which allow you to cleanly break the neck of the bottle off below the cork, leaving the cork intact. Learn more about this impressive way to open a bottle of wine here! A Champagne saber is a theatrical way to open a sparkling wine bottle. You use the sword or other object to knock the top off the bottle, cork, glass and all. While rarely used these days except by professionals for show, a beautiful Champagne saber can make a great decoration and conversation piece. We even have a few videos to show how it is done! Wines - Have great wines shipped to your door from one of the following great online wine sources. Most also have wine tasting packs, gift certificates and wine clubs! 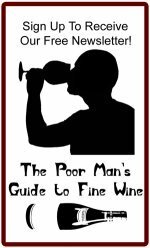 Go back to the top of the How to Serve Wine page.